Over at my tumblr blog for athensview.com, I'm featuring some of my archival images from the UGA Equestrian Center. Trot on over for a visit when you get a minute. Tonight (Friday, July 31) at 10:30 at the Globe downtown Melvin Mathurin (tenor), Mitch Rothstein (keys), James Goodhand (bass), and Ben Williams (drums) kick off your jazz weekend with jazz essentials and original pieces. Then tomorrow morning (Saturday, August 1) at 8 (you can get up for this) it’s the Artie Ball Swing Band in the music corner at the Athens Farmers Market in Bishop Park. Folks, the farmers market has been the highlight of our week all summer, even without the music. You owe it to yourself! The Crime Prevention Unit will hold two community meetings to discuss crime problems in the community, relay ideas on how to have a better community, learn facts about neighborhood crime, have up-to-date information on crime prevention and crime prevention tools, and address issues on the physical condition of the neighborhood. The first meeting will be Thurs., July 30, at 6:30 p.m. at the Trinity Lutheran Church Missouri Synod, 2535 Jefferson Rd. Another meeting is scheduled for Wed., Sept. 2, at Central Baptist Church, 720 Danielsville Rd. Residents are encouraged to attend these neighborhood meetings. For more information contact Lieutenant Terrie Patterson at 706-613-3358, ext 223, or Nick Aguilar, ext 237. 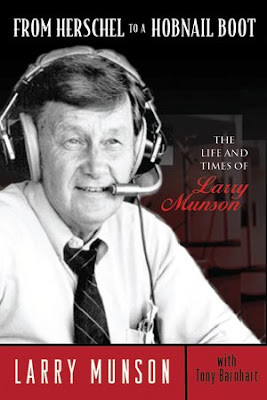 Larry Munson has long resisted writing his autobiography. Until now. The book is due out next month, and you can find out more about it over on Eye On Sports Media. Need a last-minute suggestion for tonight? The Rand Lines Trio is playing at Farm 255. First set around 9. News: Athens business champion E.H. Culpepper dies (Athens Banner-Herald). A few more and we would have had a quorum. For more of my images from our morning stroll through the farmers market, drop by my tumblr blog for athensview.com. We're back from an exquisitely laid-back morning at the farmers market. Kate Morrissey performed solo this morning over in the music corner. Check out my blog for athensview.com for a vid, this image, and others. Taz (left) probably owes her life to Michelle (right). Meet them both over at my tumblr blog for athensview.com. My Nikon and I strolled about downtown this morning between 7:45 and 8:45. Beginning at noon, I'll post an image from the stroll every half hour over at my Tumblr blog for athensview.com. Grab your walking shoes and come along. Here's an image from the series. Between 1400 June 15 and 1400 July 15 a seismograph with wireless modem, total value $4,700, was stolen from behind apartments at 393 Oconee St. The unit is owned by SAUL’S SEISMIC INC of Atlanta. I am just passing this information along, as it was recently passed to me. My first impression is that it could be interesting just because of the arrangements, since one of their photo pictures show more members holding a brass instrument or orchestral strings than guitars. As I listen to the song 'Tall Trees' play from their MySpace page I hear a pop song that would probably sound at home both on college rock programming as well as more commercial broadcasting. Acoustic guitars, electronic-ish percussion sounds, accordion, some of the aforementioned instrumentation and vocals that a generation raised on Radiohead would approve. Now listening to 'Fireplace' on their record labels promo page: it's a bit more agressive of a song, with electric guitar added to the mix, highlighted by thick backup vocals and strings. If nothing else, it is an ambitious effort and also an intriguing one. Go take a listen, and if you like it, you know by now they are playing the 40 Watt tonight (Wednesday July 15). Here's something you don't see every day on North Campus. For the story, drop by my athensjazz411.com. There are so many things to love about the big-money sports. There is, for example, their generous embrace of the not-so-much-money sports, courtesy, in part, of Title IX. Have you been to the UGA softball field out on Milledge Extension to watch the women play? Over at athensview.com this morning, beginning at 9, I'll be serving up an image an hour from April of '07. Here's a sneak peak just for athensworld readers. So it’s 5/8 playing on 7/14 at 8:00 with Scott Spillane (from Neutral Milk Hotel and other Elephant 6 collectives) playing a solo set at 7:00. The site: the new Flower Garden, a terraced garden lush with flowers, of course. And there will be free refreshments, both adult and all-ages, and light snacks, offered as part of the ticket price. This is a great chance to see one of Athens, and the country’s, great rock and roll outfits, playing a different kind of set, less electric but not less electrifying. R.E.M. tapped them to open a string of shows on a recent tour, and National Public Radio’s “All Songs Considered” profiled them with love and gusto. They have played thousands of shows, no exaggeration, and will bring the vim and vigor acquired through the years to the Garden. AND, it’s a show that still allows a decent night’s sleep, and it’s family-friendly. Lots of kids roaming about (not in the flower beds, please). And, should you desire, bring a (in best Yogi Bear voice) pic-i-nic basket loaded with your favorite comestibles, and fancy beer and wine if that’s your thing. (It’s Miller Lite draft and wine at the free stand.) The forecast is looking good-rain today and mostly sunny, and not super-hot, tomorrow. So now you’re thinking, hmm, music in my life, attainable. Hope to see you here tomorrow. Tomorrow is going to be a ton of fun. This write-up is courtesy of William Tonks. Beginning at nine this morning, I'll be posting an image an hour from my archives. Today's subject will be the Sandy Creek Nature Center. Here's a bonus image just for the readers of Athens World. I had walked from the river across the short path through the power lines right-of-way, reaching the fence along the road to the ENSAT Center. I spotted a bird perched on the opposite fence. Just as I squeezed the shutter release, the bird left in a hurry. No complaint from me. It's Sunday mornin' and I'm feelin' low. I ain't got nowhere to go. Gotta skate but the gates are closed. The gates at Southeast Clarke are closed. Guess it's gotta be this way. Gotta save a buck, is what they say. I got the Classic City closed-gate blues. Beginning at 9 am on my athensview.com, I’ll be featuring some of the photos from my archives, one per hour. All of the images were made at Memorial Park.